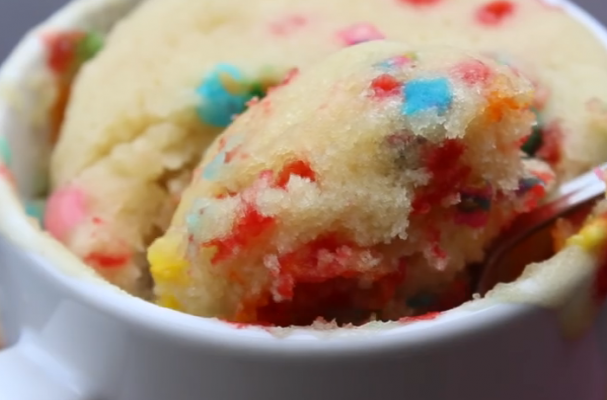 Funfetti mug cake allows you to make your favorite dessert in minutes. The advantage of having a handful of mug cake recipes on hand is that when you have a hankering for something sweet, gratification is less than five minutes away. Plus, who doesn't love cake straight from the oven (even if its the microwave oven)? This recipe happens to be one of my favorites because I am a huge fan of anything funfetti flavored. While the video does not serve this mug cake with frosting, if you have some on hand - go for it!